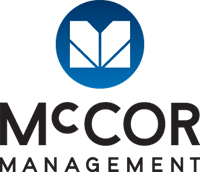 McCOR Management’s services are delivered by people who combine entrepreneurial spirit and a deep understanding of specialist property sectors with the highest standards of client care. The breadth of our real estate expertise extends across all industry sectors, including retail, commercial, industrial and residential. Within those sectors we pride ourselves on being able to take any project from conception to full occupancy. Through our advice, our property management capabilities and the transactional services we provide, we help our clients to fulfil their real estate needs – whatever and wherever they are.